In our Microsoft Access, VBA, and VB6 programs, we often need to pause processing for a certain period of time, or until a specific time, and then continue processing. DoEvents releases time to other processes on the computer. 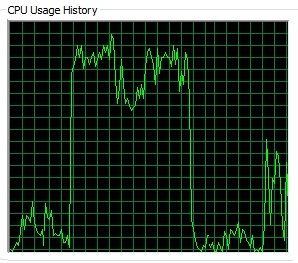 However, this method consumes almost all the CPU time and slows down the PC considerably because there's no pause in the processing. As soon as the DoEvents command executes, it executes again and repeats as fast as the PC can run. It literally consumes all the available CPU cycles, only giving time to other processes during the tiny period DoEvents is executing. This is a significant problem when pausing for more than a few seconds to wait for the user to perform other tasks. Users will experience the entire PC slowing down.
' VBA/VB6 provides many useful functions for dealing with date and time values.
' determining ages, calculating differences between dates/times, and more. MsgBox "Error: " & Err.Number & ". " & Err.Description, , "modDateTime.WaitSeconds"
MsgBox "Error: " & Err.Number & ". " & Err.Description, , "modDateTime.WaitForTime"
MsgBox "The application will exit in 5 seconds."